A PUKEKO IN A PONGA TREE! At Mad Ave we celebrate and really enjoy whanau time. Christmas brings a tradition where our families and friends see each other for a moment to catch up, to eat and chill with each other. We acknowledge that for many this is a stressful and even tough time. We ask for God's blessings to be with you, that you and your family may endure whatever you are dealing with. May the children feel the love and support of their ancestors and the Creator. Swim, read, play, talk, laugh and love! You deserve it! 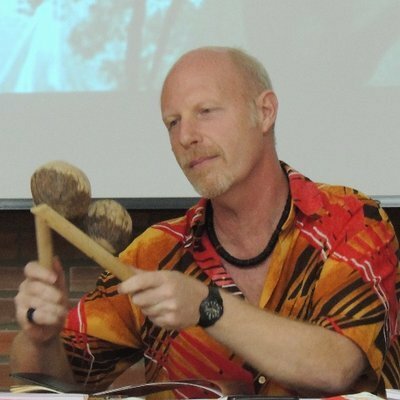 Dan Baron Cohen is a community-based art educator and cultural activist of Welsh-Quebecois origin, who lives and works in the Brazilian Amazon city of Marabá. After completing undergraduate and postgraduate studies in Oxford University, he developed collaborations with young people and their post-industrial communities at risk in northern England and South Wales, and with conflicted communities in the north of Ireland and South Africa. Dan left Wales to work with his art education partner Manoela Souza in Brazil. For almost two decades Dan and Manoela have developed a transformance pedagogy - an artistic transformative process based in cultural literacy. 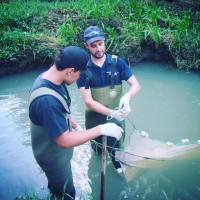 Correspondence: Rivers of Meeting Project, Community University of the Rivers, Amazon, Brazil. 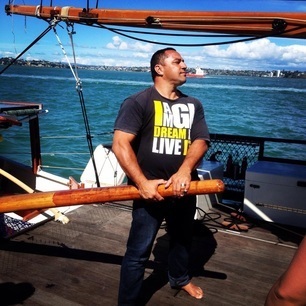 Tamati Patuwai is a local Glen Innes boy born and raised and has been working within the community and creative sectors for over 20 years. 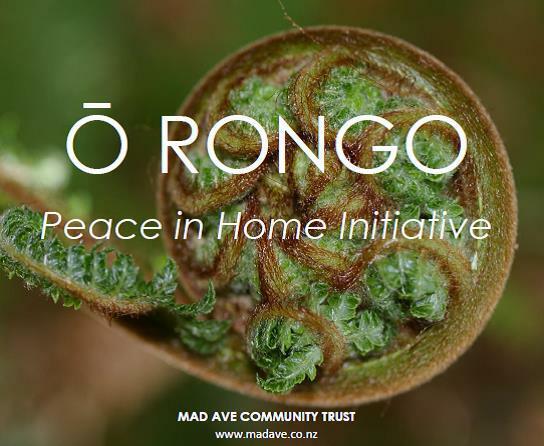 Trained on Marae, academic insititutions, and whanau settings he works as a director and project lead for Mad Ave Community Trust. 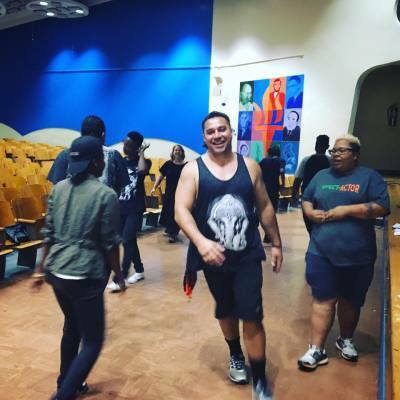 Tamati combines indigenous frameworks and practice with creative methods and spirit based approaches to offer ground breaking work in community. Te Ara Moana the inaugural indigenous youth leadership summit was amazing. Curated and facilitated by Mad Ave Community Trust this amazing experience was codesigned by youth for youth. Inspiring speakers, engaging workshops, and interactive activities set the backdrop for youth to be acknowledged, celebrated and empowered as future leaders. All hosted at the amazing Orakei Marae in Auckland, New Zealand. Thanx to all of our partners for your tautoko thus far! Mauri Ora ki nga Iwiw Taketake o te Ao. Sharing story to create healing and inspire visions. 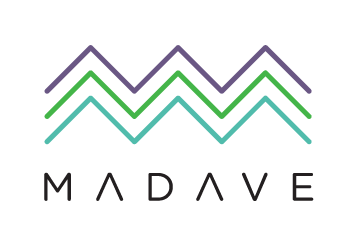 In March 2018 Mad Ave collaborated with a number of amazing teams to coordinate and ignite Home Fires. 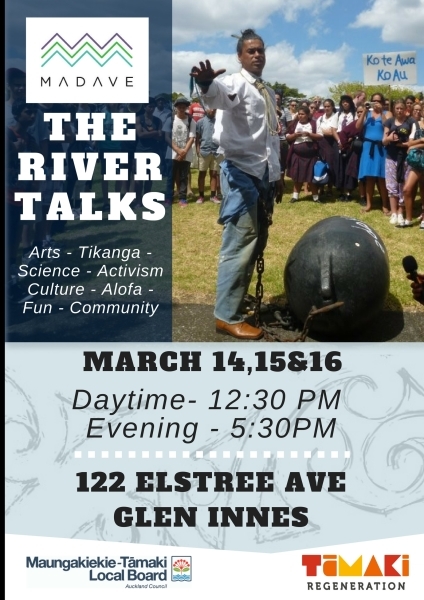 This hui/gathering has been initiated to bring healing to some the impacts around property developments in Glen Innes. Mad Ave animateur Tamati Patuwai facilitated the hui as a response to some of the missing aspects around government, council and community engagements. State housing residents for many reasons are often left to the side in terms of future designs and decision making, which in turn has, in Glen Innes, caused some of the most traumatic experiences around social change in Aotearoa. 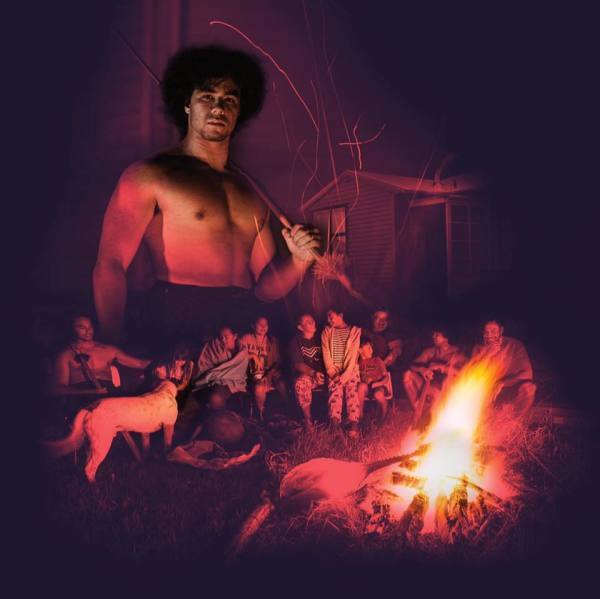 In true Mad Ave styles Home Fires brought ancient cultural wisdoms, creative art powers, and whanau engagement into a powerful, unifying corroboration that seeks to heal and to redesign how developments can be done in partnership with whanau. Deep thanx to Auckland Arts Festival, The National Science Challenge, Building better homes for Maori team, Pae Herenga o Tamaki, our arty mates, the many visitors, the students and teachers of Tamaki College and Te Kura Kaupapa o Puau, and especially to our home intelligence crew. Thank you to all the supporters and the schools for your attendance. Te River Talks work is bringing thousands of people form near and far, back into contact with Omaru. This exemplifies the whakatauki: nau te rourou, noku te rourou kia ora ai te Iwi, In this case our engagement will bring about Mauri ora to the people and our place. 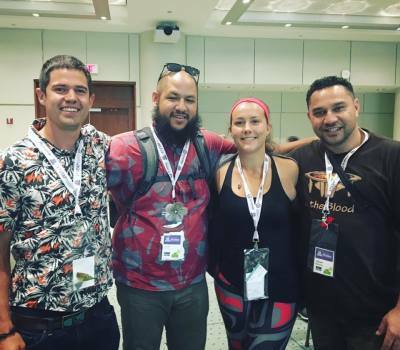 Veeshayne and Tamati attended the WIPCE conference in Toronto to share the awesome mahi Mad Ave are involved in. Veesh represented the Urutapu kaupapa with such skill and her usual charms. The audience was captured as Veesh unleashed the Urutapu successes and vision with passion and joy. Both Tamati and Veesh met an incredible number of 'like minds' from across the world and were honoured to receive invitations to other countries and opportunities to partner in the future. Following on from the Toronto visit Veesh and Tamati were able to visit New York. An iconic Global destination, New York was a total blast for their senses! New York was a great opportunity to visit some very important cultural and community animators. Equally, it was an incredible honour to workshop with the Theatre of the Oppressed team in the Bronx, and to sit for a while in conversation with Dr. Marta Moreno Vega from the Caribbean Cultural Center African Diaspora Institute based in Harlem. This Maori proverb speaks about the power of succession and bringing young leaders forward! 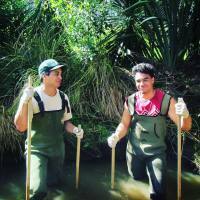 Our youth leaders, Korihi and Peter both had the great opportunity to partner with NIWA to study the species of fish in the Omaru awa. Omaru has many challenges, so understanding the status of life in her must be achieved in order to build pathways to supporting ecological health. 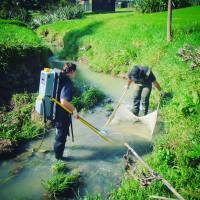 This video shows Tamaki Primary School presenting some of their work at Te Oro. 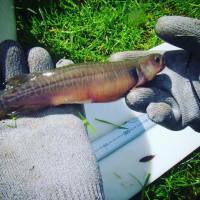 Local Tamaki schools have been committed at school to researching the issues within the environment, particularly the local waterways. Earlier in March this year the schools gathered with Mad Ave at Omaru to share ideas of history and the current realities of the awa. we are grateful for the Manaiakalani team for guiding the children. Go to Manaiakalani on Air for all of the great videos. Mad Ave is so proud of our youth! This training program is for Men who want to create peace in their whanau and in their homes by being the change they want to see. In true Mad Ave stylz we will combine culture and scientific research to develop our skills to becoming the Men we want to become. Urutapu is up and away! We had an incredible time with 10 major Maori young wahine leaders. Whaea Veeshayne enveloped the Urutapu inside a program packed full of Mana Wahine, transformative learning and FUN!